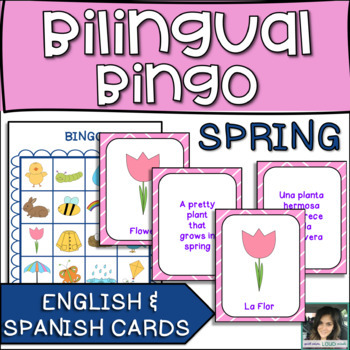 For the English-only version of this resource, head to Spring Vocabulary and Bingo. 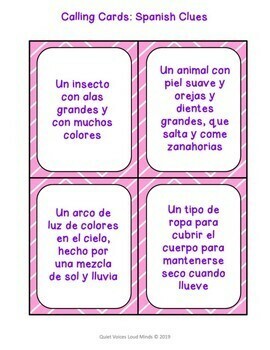 16 Large Vocabulary/Bingo Calling Cards in Spanish and English. Use for children working on both languages, or use only the English or Spanish cards. 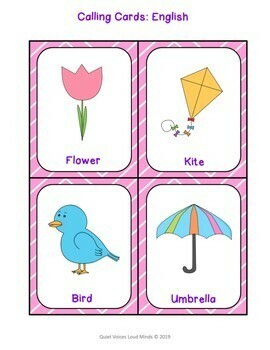 Print two copies of vocabulary cards to play matching games, match the definition to the picture, or match the Spanish and English words together. If you like this product, please comment and rate, and follow my store to see new bilingual resources!